Setting standard practices for preventing disease transmission is a very important part of an employer’s responsibility in protecting employees. In the case of the body shop previously mentioned (in an earlier blog entry), good work practices would include establishing a policy requiring workers to wrap plastic around seats pulled from a wrecked vehicle and prohibiting them from sitting on the seats, even with the plastic cover in place. Providing employees with their own toolboxes is another good practice. If they share tools, have a policy in place for cleaning and decontaminating tools, especially after an accident or injury. Moreover, make sure employees know the importance of disposing of or cleaning contaminated personal protective equipment. Finally, offer a course in bloodborne pathogen training. It is an excellent way to communicate the importance of preventing disease transmission and protecting your company from a huge liability/workers compensation claim. As I previously mentioned, implement policies related to bloodborne pathogens at your operation. Start small, then expand on the policies as new issues surface. Communicate with your people. Make sure they know the reporting procedures and the importance of reporting any possible contamination. 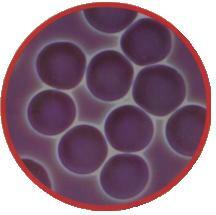 OSHA has templates for creating your own company bloodborne pathogens policy and/or procedure. Simply download the forms, fill in the blanks with your company name, etc., print them out and you’re good to go. The information can be obtained by calling the regional OSHA office in Philadelphia at (215) 861-4900. I am a business of one, but if I did have employees, I can assure you they would be trained on bloodborne pathogen risks and contamination prevention, and my company would have a policy in place. It’s the right thing to do for a business, its employees and the employer. And just imagine how good it would feel to know that your operation is in compliance should OSHA officials decide to visit. John Schmidt owns Safety Outsourcing. He offers courses in CPR, first aid, AED (automated external defibrillator) and highway safety training and the American Heart Association’s course in bloodborne pathogen training throughout central and southeastern Pennsylvania. For more information on Safety Outsourcing, visit www.safetyoutsourcing.net.